CANALFRIENDS | The 1st International Waterways Community. 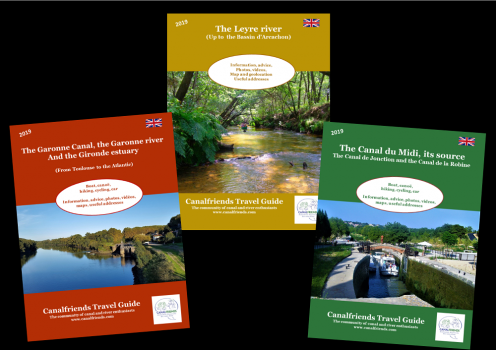 Welcome to Canalfriends, a platform for activities and holidays on our inland waterways and a broader concept of collaborative tourism on our rivers and canals, including the Canal du Midi, the Canal de Garonne etc. The website contains all the necessary information to help you plan your stay: waterway characteristics, geolocated activities (cruises, boat trips, navigation, licence free boat rentals, bikes and canoes, ports, tourist offices, heritage …) (Restaurants, markets and local producers) and accommodation (campsites, bed and breakfasts, gîtes, boats, treehouses, caravans, trailers, yurts, hotels, etc.). Partnerships with leading boat and cruise companies enable Canalfriends to provide the public with special offers and discounts from members of the Canalfriends community. The team can also help you find deals best suited to your holiday needs. In addition to these services, Canalfriends’ brings together enthusiasts and professionals (barge owners, professionals, tourist offices, waterway authorities, neighbours, tourists …) to devise novel approaches to waterways tourism and offer collaborative services.